The bat enclosure is one of the highlights of the Maharajah Jungle Trek at Animal Kingdom. Yesterday, I saw these doors to the backstage area open for the first time. 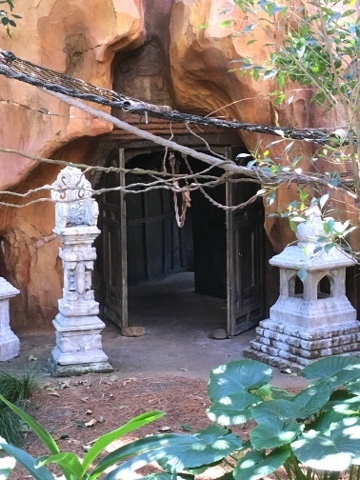 Apparently, when the temperatures are cold, they leave the doors open to allow the bats to head to the inside area to keep warm.